NAV, Heated/Cooled Leather Seats, Dual Zone A/C, Tow Hitch. Laramie trim, Ivory 3 Coat exterior. EPA 22 MPG Hwy/15 MPG City! AND MORE!======KEY FEATUR… ES INCLUDE: Leather Seats, Heated Driver Seat, Cooled Driver Seat, Back-Up Camera, iPod/MP3 Input, Trailer Hitch, Aluminum Wheels, Dual Zone A/C, Smart Device Integration, WiFi Hotspot, Heated Seats, Heated Leather Seats, Heated/Cooled Seats MP3 Player, Privacy Glass, Keyless Entry, Steering Wheel Controls, Child Safety Locks. 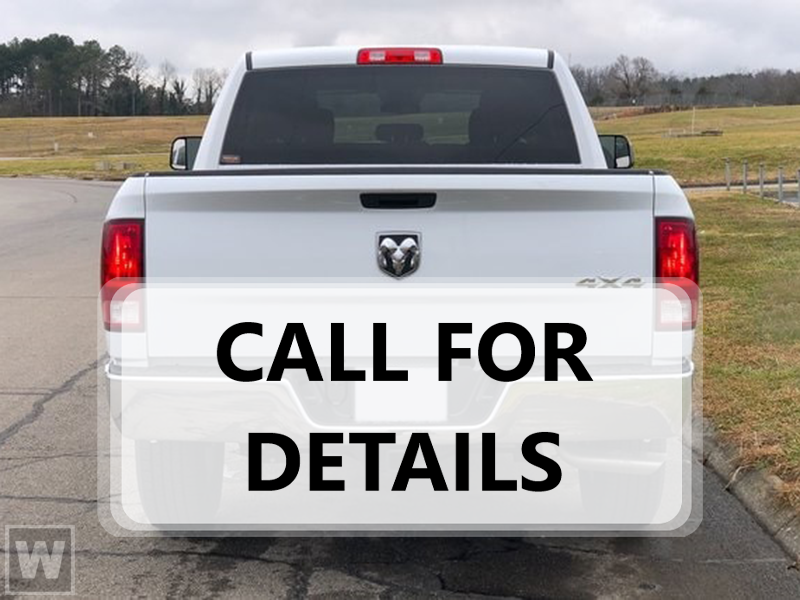 ======OPTION PACKAGES: ENGINE: 5.7L V8 HEMI MDS VVT Hemi Badge, 220 Amp Alternator, Dual Rear Exhaust w/Bright Tips, 18 Aluminum Spare Wheel, Heavy Duty Engine Cooling, Active Noise Control System, RADIO: UCONNECT 4C NAV W/8.4 DISPLAY SiriusXM Travel Link, 5-Year SiriusXM Travel Link Service, Disassociated Touchscreen Display, 5-Year SiriusXM Traffic Service, 1-YR SiriusXM Guardian Trial, HD Radio, SiriusXM Traffic Plus, For Details, Visit DriveUconnect.com, GPS Navigation, No Satellite Coverage w/HI/AK/PR/VI/GU, TRANSMISSION: 8-SPEED AUTOMATIC (8HP75). ======EXPERTS RAVE: Edmunds.com explains It feels strong off the line, and it serves up excellent roll-on acceleration when it's time to merge or make a pass.. Great Gas Mileage: 22 MPG Hwy. ======MORE ABOUT US: Visit All American Chrysler Jeep Dodge of San Angelo today at 4310 Sherwood Way, San Angelo TX and experience our high-standard, pressure-free approach for yourself. As hundreds of drivers in the greater San Angelo area already have, you're certain to see the difference immediately. Plus TT&L and fees. Price contains all applicable dealer incentives and non-limited factory rebates. You may qualify for additional rebates; see dealer for details.